Can someone help me with the two last questions? thanks. 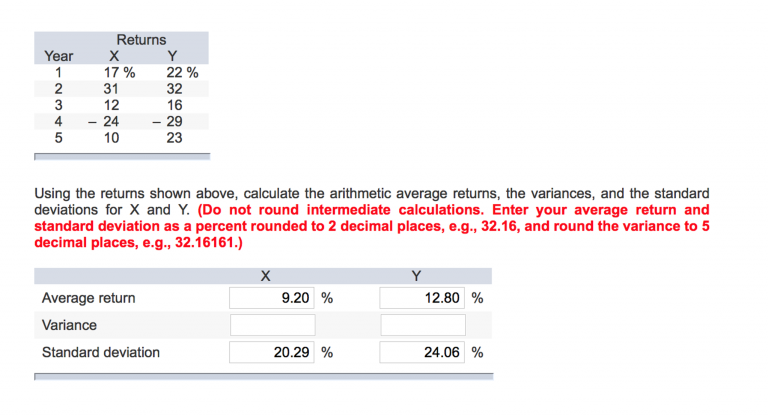 Using the returns shown above, calculate the arithmetic average returns, the variances, and the standard deviations for X and Y.